We’ve compiled a list of the Best Freebies and Deals in Austin in everything from museums, to outdoor fun, live music and delicious food. Enjoy checking these places off your to-do list and saving yourself some money at the same time! Austin has a variety of awesome museums where you can explore Texas history, browse amazing art collections, try hands-on science activities — and so much more. The best news is that you can visit almost all of our area museums for free! You just need to know when to go. Free Admission: Tuesdays, 9 a.m. – 5 p.m.
Free Admission: Tuesdays, 11 a.m. – 7 p.m.
Free Admission: daily from June 1- August 31, 2017; as well as Family Days, 2nd Sunday of each month throughout the year, 12 – 4 p.m.
For even MORE museum deals, view our list of When to Visit Austin Museums for Free. — Touring the Texas State Capitol is always free! There are self-guided tours for the capitol itself as well as the grounds. — You can always stop by the Stevie Ray Vaughan or Willie Nelson statues. — The Texas State Cemetery is the resting place of Governors, Senators, Congressmen, Judges and other legendary Texans. — Free tours of the Governor’s Mansion are offered Wednesdays, Thursdays and Fridays from 2-4 p.m.. Tours will last 20 minutes and reservations must be made at least one week in advance. Click here to reserve. — The Driskill Hotel was built in 1866 as the showplace of cattle baron, Jesse Driskill. This iconic and historic hotel is decked out with marble floors, a stained-glass dome and classic decor. While it is not free to stay or eat there, you can pop in and take a look at the old-school opulence. — You can’t talk about Austin landmarks without mentioning our staple MURALS! Stop by any of these for a great picture and a great experience. Hope Outdoor Gallery, an ever-changing hill of art where artists can display large scale pieces. Greetings from Austin mural in Bouldin Creek. 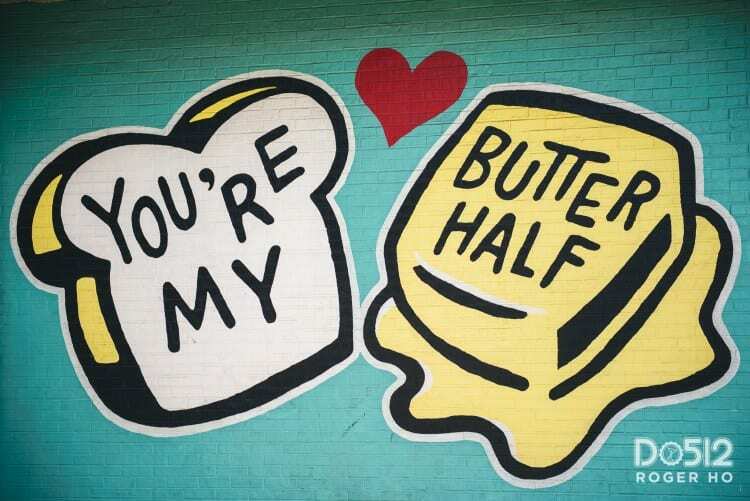 “You’re My Butter Half” mural on E. MLK. Daniel Johnston’s “Jeremiah the Innocent” on the corner of 21st and Guadalupe, better known as the “Hi, How are you” mural. 6th Street mural, welcomes everyone to the party! — Zilker Park is always free (minus major events like ACL and Trail of Lights) and always full of people relaxing, playing Frisbee, throwing a ball around, playing with their dogs, playing volleyball or having a picnic. 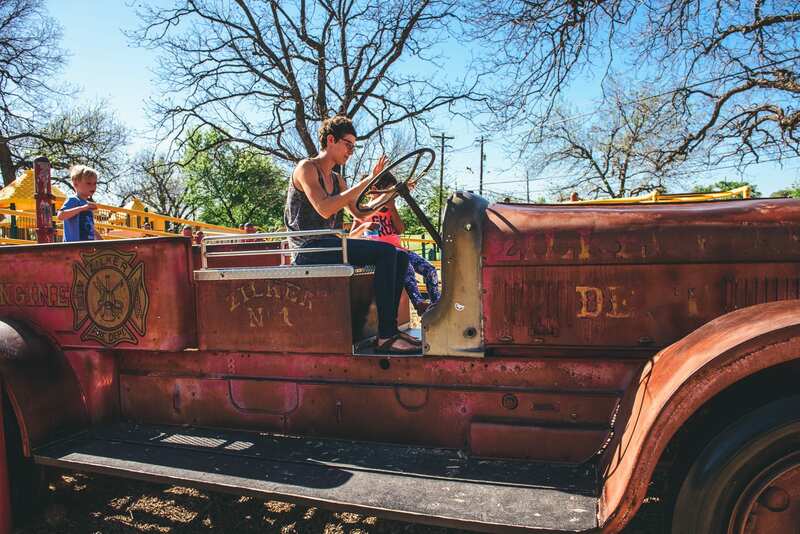 Check out our list of 100 Things To Do at Zilker Park. — Barton Springs is free in winter months through February 25, 2018, but is always closed Thursdays from 9 a.m. – 7 p.m. for cleaning. During the warmer months (April 30, 2018 – September 30, 2018) the pool is free from 9-10 p.m. Keep an eye on the website for any updated information. — Austin’s many parks and neighborhood pools are always free as well as the splash pads in warmer months! — Take your dog to a leash-free park and enjoy the day. 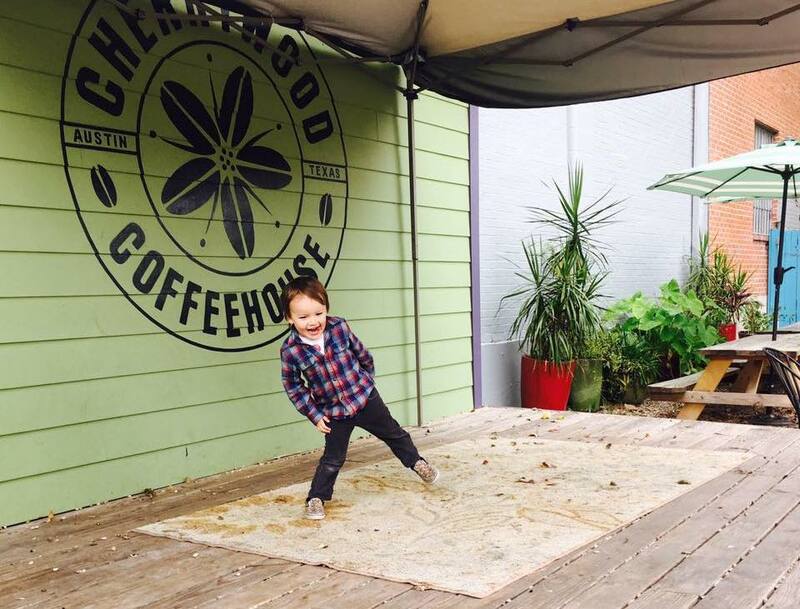 — There are FREE KIDS SHOWS nearly every Sunday at Cherrywood Coffeehouse at 10 am. Keep an eye on their calendar to see who’s playing. Regular acts include Groundwork Music Orchestra, The Hey Lollies and the Que Pastas. — Take note that if you’re seeking free live music in the summer months, your options are endless. 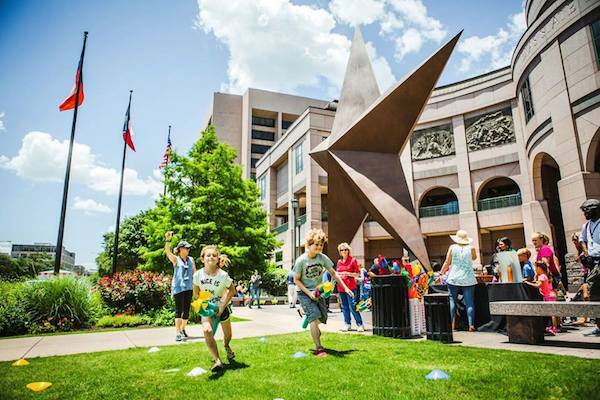 Check the Do512 Family calendar closer to June for details about Children’s Day Art Park, Blues on the Green, Sound & Cinema, and Unplugged at the Grove. Kids 12 & under get a free kid’s meal per adult meal purchase, all day on Sundays, dine-in only. 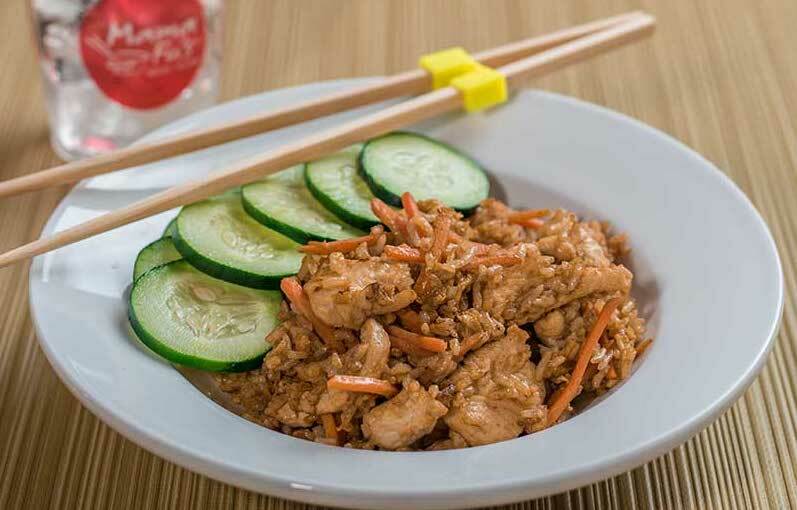 The little ones can use those chopsticks to work on hand-eye coordination as they enjoy a variety of tasty Asian dishes. On Tuesdays, kids eat free all day with the purchase of an adult entrée. Kids love the breakfast-all-day options on the menu. Mmmmm…pancakes. From 4 p.m. – close, all the little homies ages 12 & under eat for free on Wednesday Family Nights. Free pizza? The kids are totally down with this one. Kids ages 10 and under can get a free buffet with the purchase of an adult buffet at regular price. Every Thursday, kids ages 12 and under eat free at all locations with the purchase of an adult meal (dine-in only). Includes an item off the kids menu and a fountain drink. Phew, have fun out there, saving money and stuff. You’re welcome!